Dr. Al-Husaini is a Board Certified plastic surgeon graduated from Baghdad University Medical School. She completed both her Residency in General Surgery and Plastic Surgery at Harlem Hospital Center in New York where he served as Chief Resident in Plastic Surgery, including rotations in NYU Medical Center and Memorial Sloan Kettering Cancer Center. Board Certified by the American Board of Surgery and The American Board of Plastic Surgery, Dr. Al-Husaini is well respected in the medical field. Married with two children, a daughter and a son, Dr. Al- Husaini speaks English and Arabic, she enjoys traveling and the outdoors, and is an avid supporter of Smile Train, UNICEF and Doctors Without Borders. 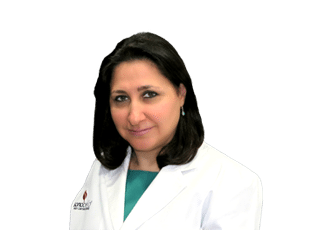 Dr. Al-Husaini believes in empowering her patients with the knowledge necessary for them to make their own informed decision. She is competent in the field of Cosmetic and Reconstructive surgery.